What many small business owners don’t know about using Twitter is how they can take the conversations already happening on the social media platform to get more customers in the door. 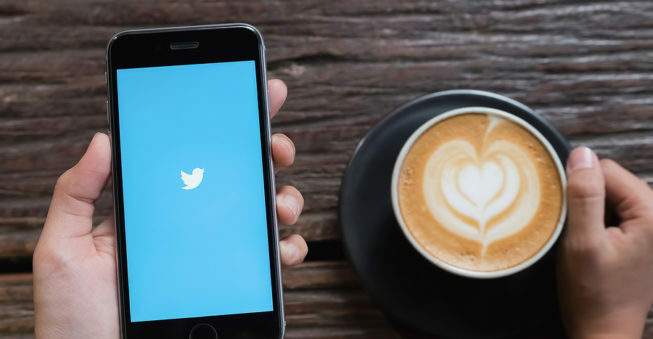 With more and more users signing up on Twitter each day, including an increasing number of users who are 50 years old and up, Twitter is a powerful platform for getting your business in front of a large audience with varied age ranges and interests. It’s also a key platform for building relationships with people in your local area. At Main Street Hub, our team is full of experts who are skilled at reaching out and starting conversations on Twitter on behalf of our customers. Our technology and world-class team of writers connect local business with new customers every day to get them in the door and keep them coming back. Follow these four steps of our social media marketing strategy to turn tweets into new customers. By searching for and participating in relevant conversations on Twitter, you have the opportunity to get new eyes on your brand and get new customers. Start by brainstorming search terms, asking yourself: Who is your typical customer? 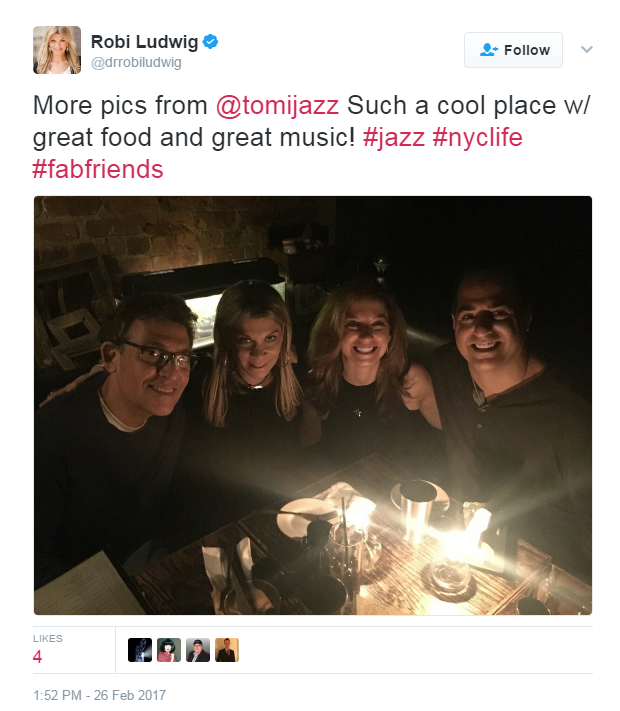 What kinds of conversations would they have on Twitter? What’s your business personality and what kinds of conversations would make sense for you to jump into? Once you have answers to these questions, you can start looking for tweets containing terms that are relevant to your business. For example, if you own a pizza restaurant and it’s around lunch or dinnertime, use the search box in the upper right corner for the hashtag #pizza, #hungry, #craving, or #lunchtime to find people who are tweeting about wanting a meal. Take it a step further by searching for those hashtags in your specific location with Twitter’s advanced search feature. Search by keyword, phrase, or hashtag, hit “enter,” then on the top left-hand side under “search filters,” hit “advanced search.” Here, you can add a location to specifically target people in your city, town, or neighborhood who are tweeting about their next meal, ensuring your chances of reaching out to someone who might swing by your restaurant for a visit. The same strategy works for any industry; it’s all about finding the right search terms for the demographic you are trying to reach. If you run an auto shop, #cartrouble could be what you’re looking for, but if you own a salon, using terms like “need a haircut,” might be more effective than using a hashtag. Twitter is all about building relationships, and small businesses can leverage the social aspect of the platform to get potential customers thinking about their business when they’re ready to make a purchasing decision. When you locate a promising tweet from a user that appears to fit your target demographic, you should reach out and introduce your business to this potential new customer, and start a conversation! Respond to tweets in a personalized, engaging way to make your business seem relatable and down-to-earth. If a user you tweet to responds back, your business has a chance to get in front of all of the friends and followers of that user, which draws more attention to your business. 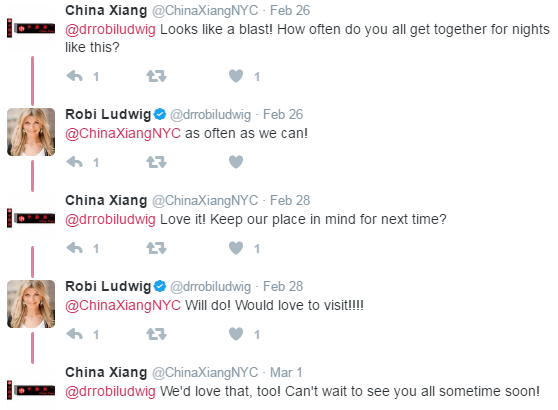 In the conversation below, restaurant China Xiang in NYC reached out to Twitter user Robi Ludwig, and by engaging with her about her photo, they put their business in front of new eyes and top-of-mind for potential new customers. You can see how the business asked the user a friendly question about her and her evening to kick things off, because it’s important to start building a relationship before trying to sell something. 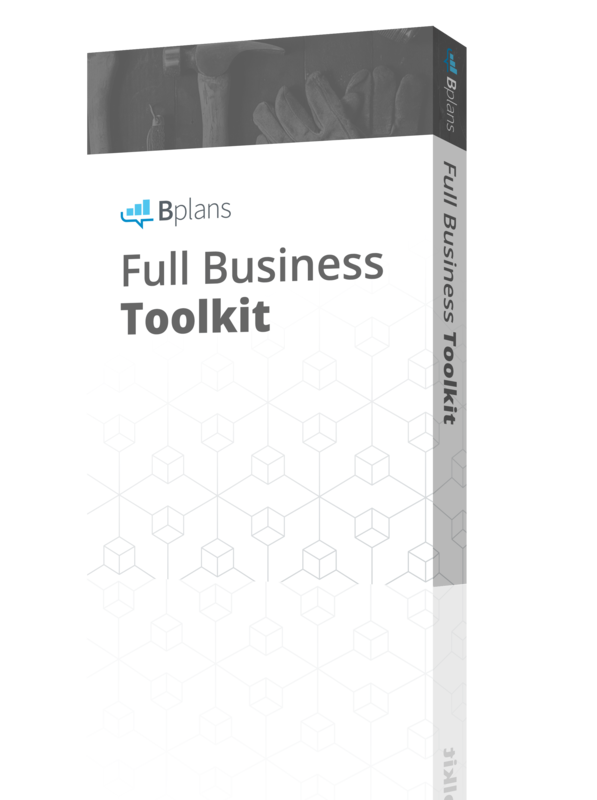 After the user and the business had an interaction, the business went for the sell, which leads to our next step. The user you have connected with knows this part is coming; after all, why else would a business jump into conversations with (seemingly random) Twitter users? When it feels like the right time to plug your business, ask the user if they would ever consider trying your business, or tell them you’d love it if they would swing by next time they’re in town. In the above example, China Xiang asks, “Keep our place in mind for next time?” Something as simple as that reminds the user that your business is friendly, personable, and potential customers should give you a try the next time they need a meal, haircut, outfit, or car repair. 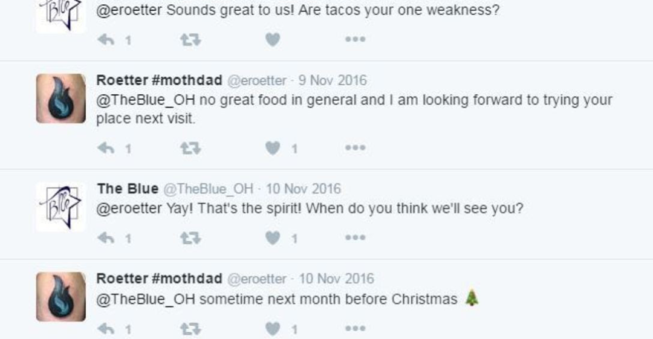 As you can see in the below example, Twitter user Roetter #mothdad’s conversation with The Blue restaurant in Ohio gradually turns from a friendly conversation to asking when the user will come by for a visit. Then, there’s the payoff—the user not only visits the business but also posts a photo on Twitter. This shows the effectiveness of asking when the user will be stopping by, and asking them to snap a photo when they do visit. This will keep users engaged past your first conversation and build a relationship with the user, hopefully turning them into a loyal customer. Plus, user-generated content is extremely effective for building brand awareness for your business and building a network of new customers. 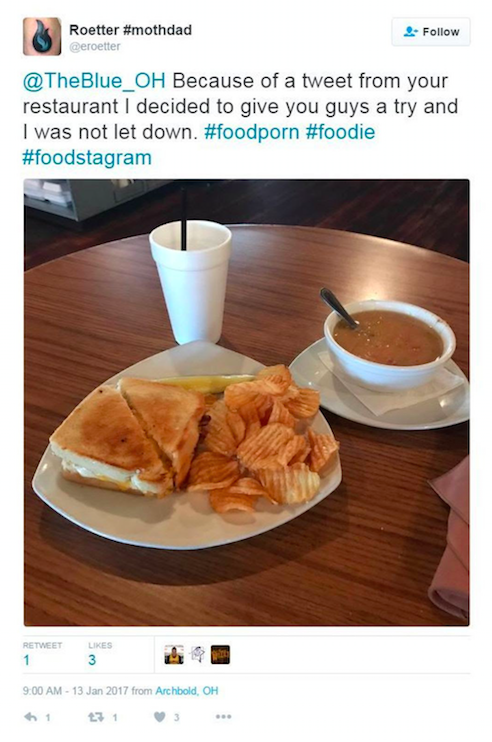 When the user in the above example posted his photo at The Blue, not only are his followers able to see this photo, but anyone searching for the hashtags #foodie and #foodstagram can see it too, and these terms are being used and searched for thousands of times per day across the country. Not only that, since consumers trust their friends’ and followers’ recommendations on social media for where to dine, shop, and stay, seeing a glowing review of your business on Twitter might just lead to referrals and more customers coming by for a visit. Not all conversations with Twitter users will yield wins like the examples shown here. But, even if the person you engage with on Twitter doesn’t immediately make a reservation at your cafe or head over to check out your sale, they might just click to your Twitter profile, check out your business, follow you, and look at what your business has to offer. Then, the next time they want or need your services, they’ll think of your business. By reaching out and engaging in conversations on Twitter, you’ll add more users to your online community, stay top-of-mind with the users in your area, and ultimately, get more customers in your door.